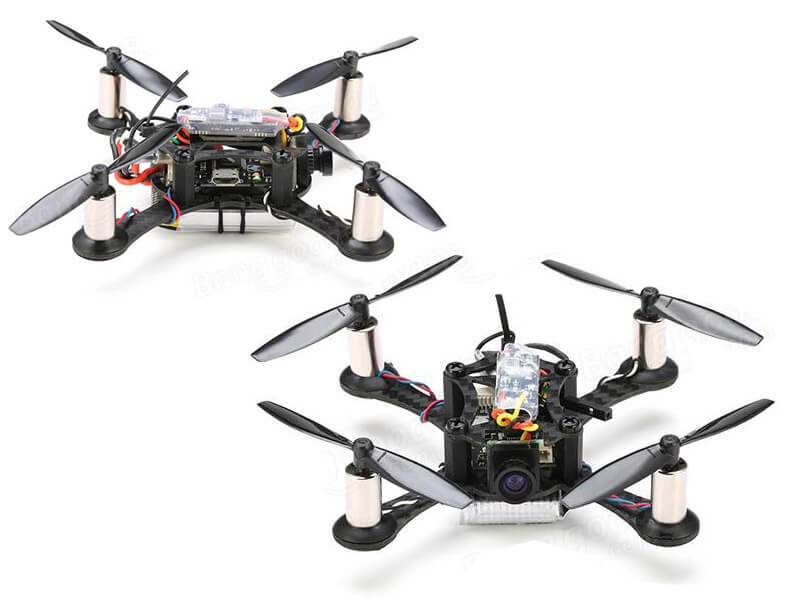 The first micro racing drone from KingKong is a good opponent for Eachine QX series drone. What we noticed were the props that look a little bit different from the standard ones which could be the best for micro drones. 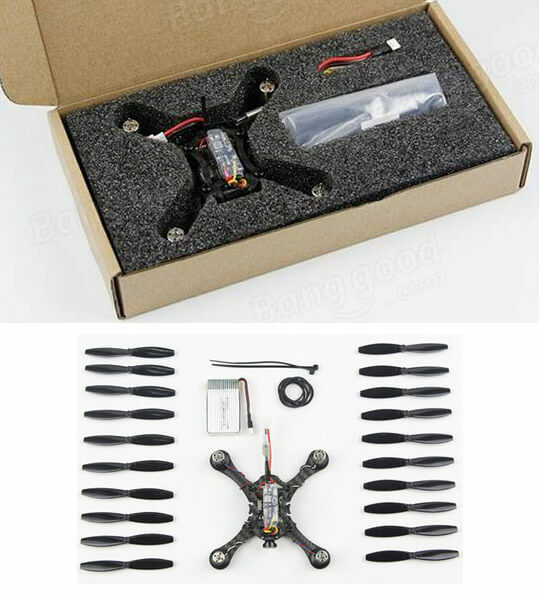 We can find in the set 24pcs of props with only one battery and no spare motors. 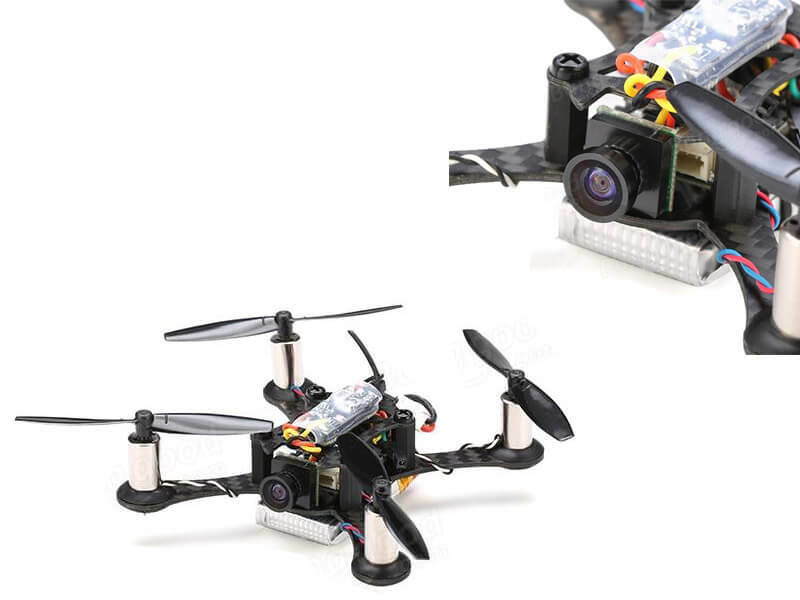 Construction is really tough making it the best drone for freestyle beginners. 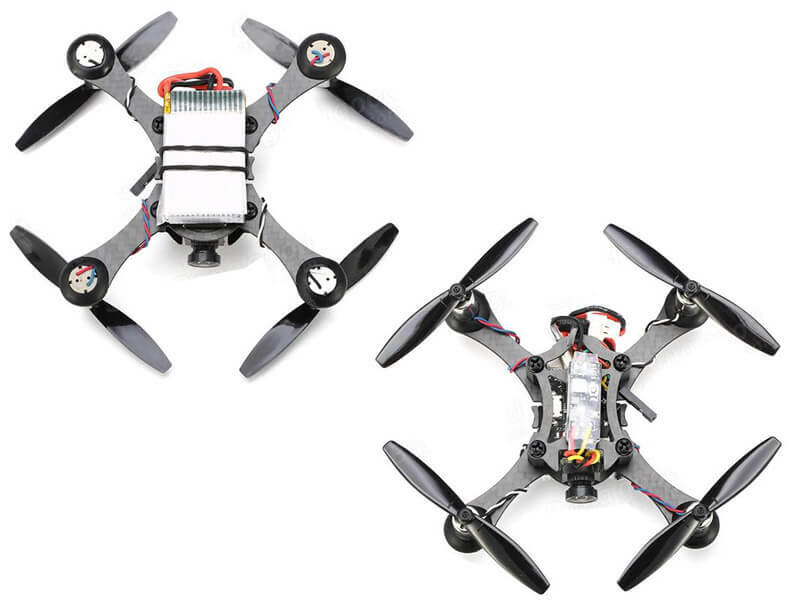 This Q100 Racing Quadcopter comes as spare parts, You need to assemble.